Shail Group of Institutions comprising of Indore Institute of Science and Technology, Indore Institute of Management and Research, Indore Institute of Pharmacy and Indore Institute of Computer Application have many common linkages. Student Development Cell has been created to coordinate and integrate these commonalities. With focus primarily on Student Development vis a vis employability, resourcefulness and outreach – the cell’s mission is to prepare students to become capable, responsible, and contributing citizens. 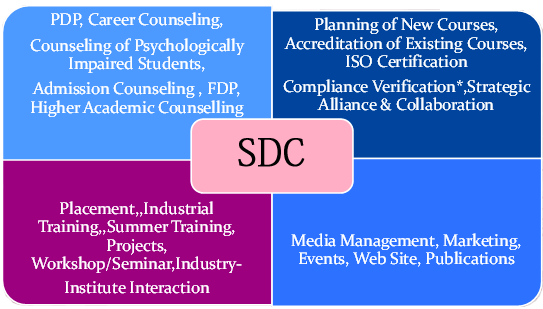 The program works on various levels with the aim to effectively cater to a student’s educational, social, emotional, career, and personal strengths besides developing and in accordance assisting in strengthening the of the brand of Indore Institutes.